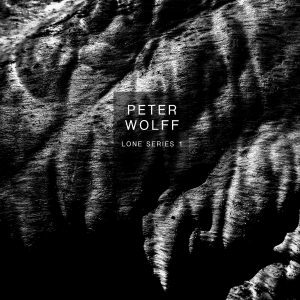 we are really excited to present you „LONE SERIES“ from Peter Wolff (ex-DOWNFALL OF GAIA). A new set of individual songs spreading different atmospheres and ideas. Available only online on all common platforms.„SWARM“ is the first part of this new series and is released as audio and video. Check this first dark, drone dealing, heavy-weight ambient video of „Lone Series“ right HERE via YouTube! After gaining fundamental experiences in several guitardriven bands for many years, Peter Wolff became a founding member of the spheric black metal band „Downfall of Gaia“. Being one of their main songwriters, he highly influenced the sound and forged it to its acclaimed mixture of raging black metal speed and athmospheric dreamlike soundscapes. Downfall of Gaias output was received well by worldwide listeners as well as by the musicindustry. Thus, they released two Albums on one of the worlds biggest record labels for hard sounds „Metal Blade Records“ and toured every continent, including countries like the USA, Russia, Australia and Japan. After 8 years, he felt that it was time for him to head towards different sonic shores and he left the band in peace and mutual respect. The new work of multi-instrumentalist Peter Wolff is dominated by spheric and moviescore like sounds, reducing the distorted guitar and opening up for piano, synthesizers, strings and some well placed drums. The result presents fluent and hypnotizing acoustic sculptures to the listener. Names like Max Richter, Johann Johannsson or Bohren & der Club of Gore come to your mind while enjoying Peters latest compositions though his creation has its unique flavour and leads you to musical pathes you have never walked before.